It will come as no surprise that over the last several years, smartphone adoption has increased dramatically. Forrester Research predicts there will be approximately 3.5 billion smartphone users by 2019. But what you might not know of is the quiet rise of ROM. 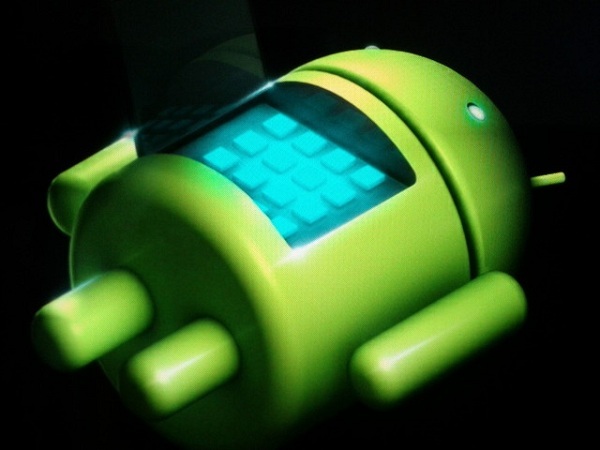 Approximately 37% of all Android smartphones run on custom ROMs. We’ve entered the age of personalization in retail, and apparently, in smartphones as well. The ROM industry is a relatively new one. It started as a small community of developers seeking to open their phones and develop new features in their spare time. But, what started as a hobby has grown into a huge community with approximately 9,000 ROM software developers, working both in large teams and individually. Many people may not even know that they’re using a ROM, but even Amazon’s Fire OS, which runs on smartphones and tablets among other devices, is one. And they aren’t the only big company involved; Xiaomi, the world’s fifth largest smartphone maker, also has its own ROM, called MIUI. 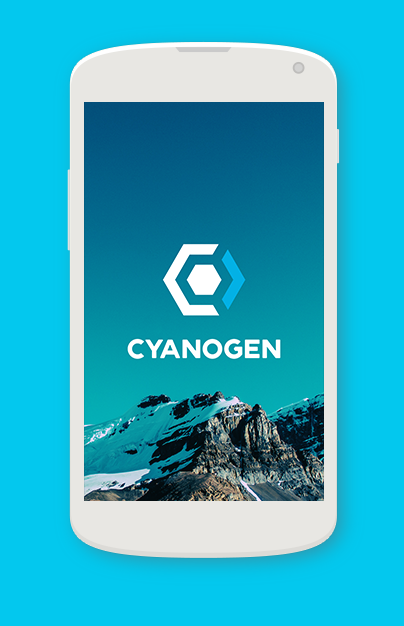 We're attempting to take Android away from Google… Today, Cyanogen has some dependence on Google. Tomorrow, it will not. But many ROMs are still developed by individuals in their free time. They are often built on top of other ROMs, like Cyanogen’s, but with additional customizations to meet individual needs. I recently caught up with my friend, Drew Walton, a co-founder of Basketbuild, a hosting site for developers building ROMs in the middle of it all, for a quick interview. At Peer5, we’re privileged to deliver ROMs for hosts like BasketBuild, which has grown into a huge portal for many top developers in the space. Q. How do you see the ROM industry as a whole changing in the next 12-18 months? A. In terms of the ROM development industry, which really has grown up to be an industry more than a community, We think we're going to see a lot more forks of Android and a real push for more independent development. Right now we have essentially four main ROMs from which all others are based on; CyanogenMod, AOKP, PAC-rom, and OmniROM. What I would like to see personally is more variety in both the number of teams and in the variety of user experiences offered to users. Google did a great job with Material design and to see a really well-done extension of that would be awesome. Q. What changes you are currently seeing at the developer level and do you have any predictions for the future? A. The changes we've seen at the developer level since we became involved in the community have been astounding. As everyone is no doubt aware of, the biggest and most well-known development team went corporate somewhat recently. We would have never predicted something like that would happen. While there are a lot of people who frown upon that event, We have to tip our hats to them for turning what they love to do into a profitable business. That needs to happen more. That having been said, we think we will also start to see a push in the community and in the industry as a whole for a more open Android. While Android is at its core open-source and anyone can build upon it, there are still a lot of closed pieces of the puzzle that can make ROM development difficult, namely the proprietary blobs that control the hardware. Right now, a lot of devices that have their own ports of ROMs such as CyanogenMod or AOKP need to have wrappers or custom code that is able to utilize (or wrap around) drivers from an older Android version. This can be really problematic when APIs and ABIs change. While we understand that device manufacturers need to protect their IP, providing open-source versions of these drivers would be both a bold and welcome move. Q. What changes have you noticed at the user level? A. Naturally, the users are what make the Android development industry tick. Without the users, there really wouldn't be any point in having developers in the first place. Having been involved in the development community for as long as we have, we have definitely seen a concerning trend in the attitudes of users toward developers. While this is not true for all users, one thing that has been prevalent for a long time (and is even more so today) is the notion that developers have to fix bugs and implement features at the drop of a hat. What a lot of people don't understand is that the developers and development teams who work on these projects are doing so on their own free time, and sometimes at great personal expense. We would like to see users become more aware of that fact. We would also like to see users do more contribution, whether that means a monetary contribution, useful bug reports, or whatever. Q. What’s next for you at Basketbuild? A. What we'd like to do in the future is to expand not only our user-base but in the features and services we offer. Right now we offer a place for developers to keep their work and share it with the world and that's cool, but providing a more streamlined way for those developers to communicate and interact with their own user-base would be one of our next major goals. We also recently started doing ROM Reviews (and hopefully App and Device reviews too) on our YouTube channel. Q. Is there anything else you’d like to say? A. We would not be where we are today without the support of the community. When we started this endeavour we really weren't sure where it was going to go, if anywhere at all. So we definitely want to give a shout-out to everyone from developers to users. We would also like to give a huge shout-out to a few teams and people for their support along the way. The PAC-rom team was really the first major development team to come on-board with us, and that was even before we had any sort of real website. Another one of the larger development teams, AOKP, joined the club last year and being able to host their work exclusively has definitely increased our presence both in the community and on the web as a whole. For anyone who isn't aware, our logo was designed by Mat Mabee over at Mabee Designs as part of a give-away / contest we ran last year. He definitely knows his stuff. Last but not least (and we all knew this was coming), a gigantic shout-out to Billy, Hadar, and the entire Peer5 team for the magic they have accomplished with web technologies like HTML5 and WebRTC. We have definitely noticed a significant increase in positive user experiences, and hope to continue that in the years to come. So there you have it. From a few individual developers working in their spare time, to over 9,000 developers and usage on 37% of Android phones. In the future, as developers continue to push boundaries, expect more pieces of the Android OS to be replaced by open sourced alternatives. This, along with increased user interest in personalization and demand for features, could also lead to a more corporate ROM community. Given recent trends, it might not be long until we’re all using ROMs to deliver customized experiences on our smartphones. We would also like to give a shout-out to some of our customers who use Peer5 for ROM delivery: BasketBuild, Bliss Roms, Paranoid Android, Carbon ROM and DRDevs. These customers all use the Peer5 Downloader to deliver file downloads to users quickly and efficiently. Thanks to our ability to connect users in browser, we can speed up downloads, while also offloading bandwidth from servers by using peer-to-peer connections. Our clean UI makes it really easy for users and helps boost user experience. Peer5's P2P CDN delivers all types of content, from file downloads and video streams to audio and images. To learn more about Peer5, click here.